A New York woman claims the new Samsung Galaxy Note 9 phone "spontaneously combusted" in her purse, calling back to the Galaxy Note 7 debacle. Two years after an exploding-battery debacle led Samsung to recall and cancel the Galaxy Note 7, the company has been sued by a woman who claims that her Galaxy Note 9 blew up inside her purse. According to The New York Post, Long Island real estate agent Diane Chung says her Note 9 became "extremely hot" while she was using it in an elevator, at which point she placed it back in her bag. The bag then began smoking, and caught fire, ruining the bag and everything in it. 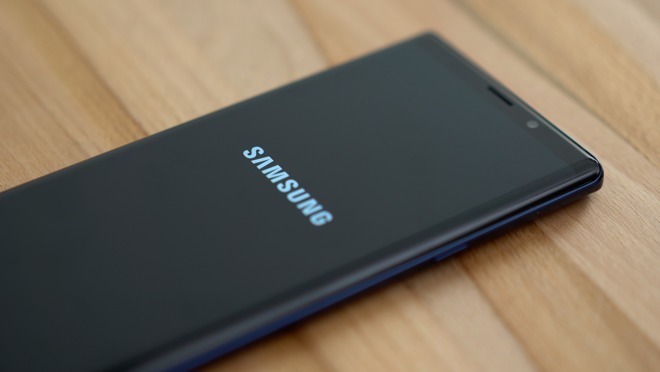 Chung filed suit in the Queens Supreme Court, claiming unspecified damages and "a restraining order barring the sales of any Galaxy Note 9s," the Post said. It doesn't appear that there have been any other similar reports of the Galaxy Note 9 catching on fire, since the product went on the market in late August. The company issued a statement to that effect to the Post and other media outlets. "Samsung takes customer safety very seriously and we stand behind the quality of the millions of Galaxy devices in use in the United States," a Samsung spokesperson said in the statement. "We have not received any reports of similar incidents involving a Galaxy Note9 device and we are investigating the matter." The Galaxy Note 7, released in 2016 opposite Apple's iPhone 7 and 7 Plus, was an unprecedented disaster for Samsung. It suffered widespread overheating and fires, leading Samsung to issue a full recall of the product and stop selling new ones. The entire debacle caused Samsung to take a financial hit to the tune of over $5 billion, as reported at the time.